Its the 4th of July and that means I'm that much closer to opening day of Cinderella ^4 at Gooseberry Park Players and RENT at The Stage at Island Park (formerly Fargo Moorhead Community Theatre)/Broadway Lights. The first production meeting for RENT was on Friday, and I now have three weeks to complete the lighting design before Adam Pascal performs on the stage. Back at Gooseberry Park Players, the lighting rentals, along with gel, lamps and gobos are arriving tomorrow. Almost all the cabling is in place, the truss and booms are all in place, and adapters have been secured. 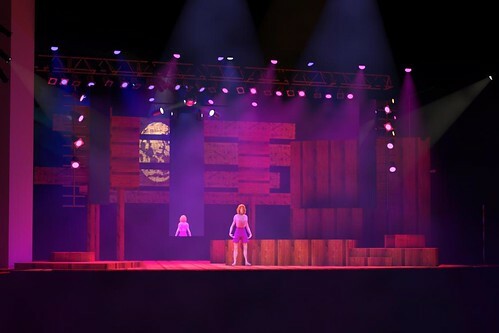 This weekend I have done a few more renderings to see how the lighting would work with the large mirrors in the set, along with a the mirror ball requested by the director. 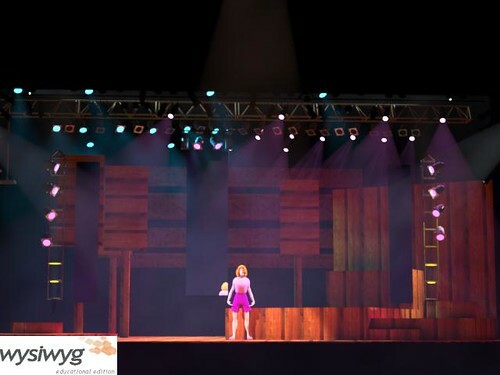 In addition to these two projects, rehearsals are underway for Music-Theatre Fargo Moorhead's production of Chicago, and design work should be coming together soon. Last week I completed an impromptu, last minute lighting design for Moorhead Community Education's production of Fiddler on the Roof Jr. as well. Copyright Jordan William Green, 2011. Awesome Inc. theme. Powered by Blogger.